One of three paintings from the Golden Gate Park Music Concourse tryptic. This painting represents Art. 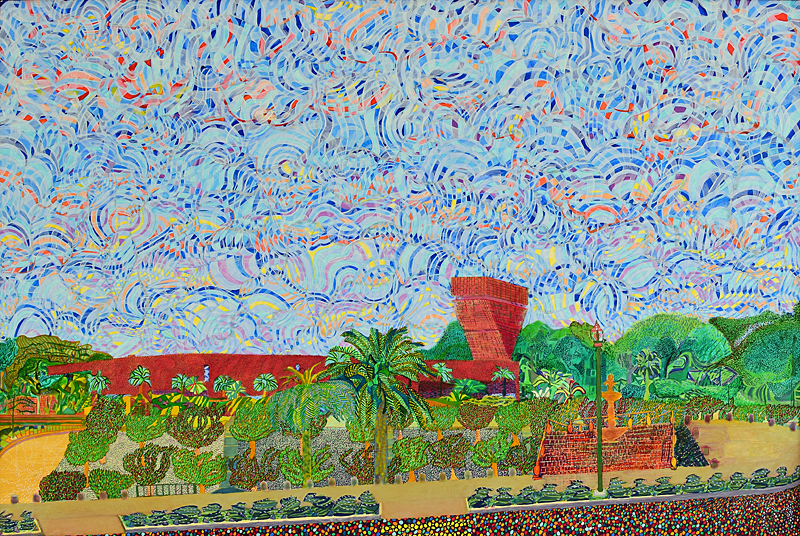 Most simply it does this by depicting the iconic deYoung Museum.